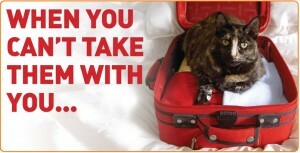 Want to go away over the Christmas holidays but can’t take your pets with you? Yearn to travel more often or for longer but not keen to leave your home unoccupied? Need to go away for work from time to time? Wish you could visit loved ones far away more often? Planning the trip of a lifetime or just the occasional long weekend? Many home owners rely on neighbours, friends or relatives to ‘keep an eye out for them’ or ‘pop in’ to their empty property. Unfortunately this kind of piecemeal solution never quite works out, as the power outage defrosts your freezer and your lonely dog howls day and night to the annoyance of the neighbours. Leaving your property unoccupied is tantamount to asking for trouble. Not only is a vacant home more likely to be burgled, but home and contents insurance becomes null and void after a home has been empty for a given period of time. Consider the benefits of a trusted house sitter. With trusted house sitter/s in residence there’s someone on hand to keep things running smoothly while you’re away. In event of a power outage, the smell of rotting fridge contents won’t greet you on arrival home. If roof tiles are broken by the worst storm in 30 years, remedial action will be taken so you don’t return to damp walls and soggy ceilings. 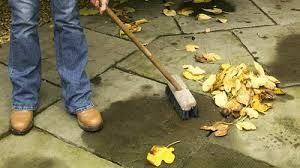 If your home is in a bush fire zone your house sitter can make sure the yard is cleared of dead wood & branches and clear leaves from gutters during peak summer periods. 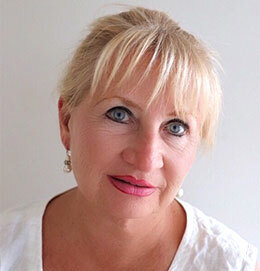 Get our Top 5 Tips – How to Find House Sitters for Home & Pets. A compelling reason for engaging the services of live-in house and pet sitters is the enormous cost of outside care for companion animals. Plus if your pet has been confined to a “pet motel” or left home alone to be visited each day by a care provider, you risk returning home to either a sick pet, a stressed pet, or both. 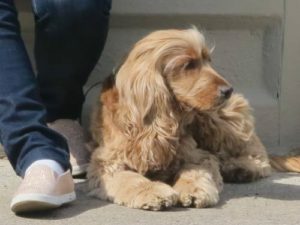 Animal psychologists and vets agree boarding pets for any length of time, or leaving them alone for days on end, can place a huge strain on their physical & emotional health – sometimes with lasting effects. Your insurance company won’t necessarily provide a safety net for your vacant home and contents in your absence. All Home & Contents Insurance Policies contain a “Vacancy Clause”. Most kick in once your home has been vacant for thirty consecutive days. This period varies from insurance company to insurance company, country to country, with some insurers allowing a period of grace of sixty days. Once the vacancy period has run it’s course, insurance on a vacant home becomes null and void. Trusted House Sitters available – for free! Every day, thousands of home owners all over the world open their door to welcome house sitters into their home. No longer a stranger on a house sitting website, house sitters are interviewed either in person, via phone or Skype and had references checked well in advance of being handed the key to the door. Each home owner decides the tasks required of their house sitter, then selects the best person or people for the job from the applications received via the house sitting website. Browse house sitters here. What is House Sitting exactly? 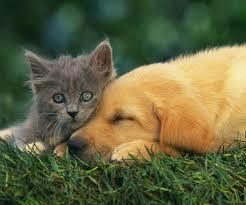 House and pet sitting is a core component of the fast growing social practice of peer-to-peer collaboration. Also known as “the sharing economy”, Time Magazine has cited this new form of organizing our social and productive lives as one of the Top 10 Things that will change the way we live. House Sitting Websites succeed beautifully in matching Home Owners and House Sitters – whether around the corner or on the other side of the world. We explain more about House Sitting, here. Holiday periods are peak season for burglars. A recent survey of detainees has revealed why this is so. They said the primary motivator was a house that appeared unoccupied. Thieves look for (a) no cars in the driveway (b) no lights on at night (c) no response to a knock on the door (d) rubbish bins left out (e) piled up post in the mailbox or similar indications no one was at home. 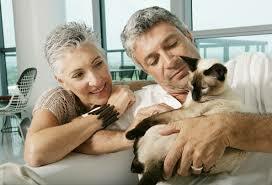 Having a house sitter in residence contributes significantly to peace of mind. Plus Home & Contents insurance remains valid and burglars are deterred. What type of people house sit? There is no “type”. At any rate, because home owners’ needs vary greatly, all “types” of people are sought. Some home owners advertise for a “single person (full time worker is fine) to feed & love my cat and water potted plants in my apartment“. Other house sitting jobs specify “retired couple to look after two dogs, three hand raised parrots and a ShireX Clydesdale gelding on a 300 acre property“. See Case Studies of house sitters, here. Why do people house sit? As technology blurs the boundaries between working hours & free time, more and more people are seeking a better work-life balance. 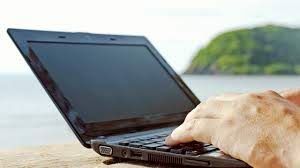 Increasingly sophisticated & affordable technologies have made it possible for employees to work remotely, and employers are rising to the challenge, introducing a range of measures to accommodate portability in the workforce. Gen X occupies a massive 60% of the current workforce. With an entrepreneurial spirit and do-it-yourself attitude, Gen X prefer to “work to live” rather than “live to work”. 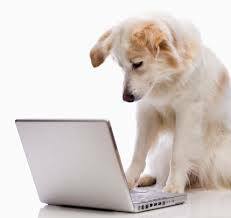 Their working world in their laptop, many become house and pet sitters. Those restricted to 9 to 5 hours are discovering weekend get-aways on house sitting sites. More and more families house sit during school holidays, or for a few months before the kids start ‘big school’. Grey Nomads house sit to take a break from the rigours of the road. Expats have discovered house sitting provides a way to test the water and acclimatise gradually when relocating abroad. Others search houses to mind while they renovate, and some want pets to pamper when life’s circumstances change – job loss, relationship breakdown, death of a loved one. In the overheated housing market of Australia’s major cities, Gen Y are turning to house sitting to save a home deposit. House sitting is traditionally a free service – a win-win arrangement between people who co-operate for mutual benefit, not financial gain. House Sitters are paid ‘in kind’ by free accommodation in exchange for caring for home, property and pets while the home owner is away. Why Compare House Sitting® (Websites)? The practice of house sitting is growing globally at a phenomenal rate, as more and more people list, discover and apply for houses to care for and pets to mind. This increased interest is spawning more & more house sitting websites turning up online. But rather than being helpful, the plethora of platforms is daunting – particularly if you’re a newcomer. Because if you don’t know the qualities to look for, how can you tell a good house sitting site from the others? Compare House Sitting® has done the research so you don’t have to! Each of the websites featured can be relied on to match home owners with house sitters in a secure, online environment. 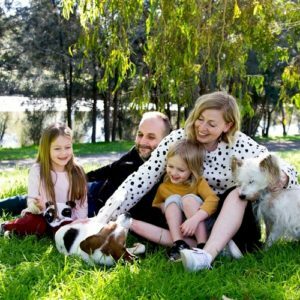 When it comes to selecting a trusted house sitter, home owners are spoilt for choice, able to choose from hundreds of house sitters on house sitting websites. All good house sitting sites have a range of filters to help home owners find their perfect match. Selecting preferences such as dates available, preferred location, single, couple, male, female and so on narrows the field to help find your perfect match. So – so long as you register with a good house sitting site you will find house and pet sitting a win-win-win solution – a win for you, a win for your pets and win for the house sitter. "Compare House Sitting comes out of my personal search to discover which house sitting website was best for my circumstances. I commenced full-time house sitting in March 2011, and over the past 7 years have discovered not all house sitting websites are created equal. My mission is to help others fast-track house sitting success by pointing them in the direction of the best house sitting sites.